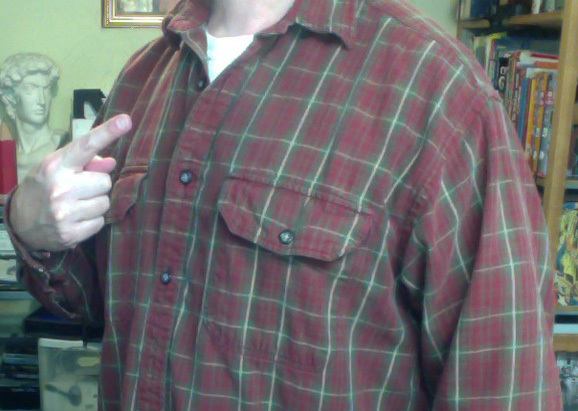 If you use Photo Booth on a Mac for quick reference shots, remember that the pics it takes are reversed. Notice how the lettering on this pic taken in Photo Booth is a mirror image. 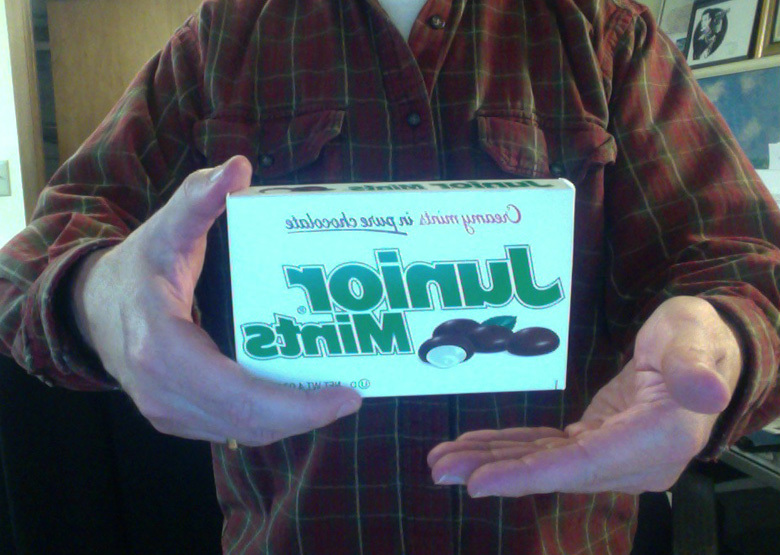 But what Photo Booth won’t change is Junior Mints delicious chocolate and mint flavor. This is something to keep in mind when you are considering which hand you want a character holding something (right or left) – but also for smaller details like how clothes are buttoned. 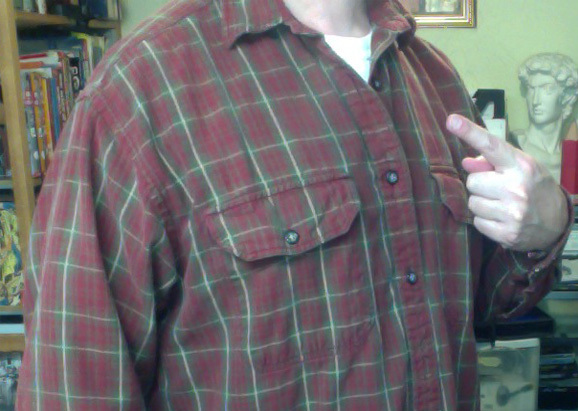 Note: For those unaware, men and women’s clothing generally button differently. Pic taken with Photo Booth. 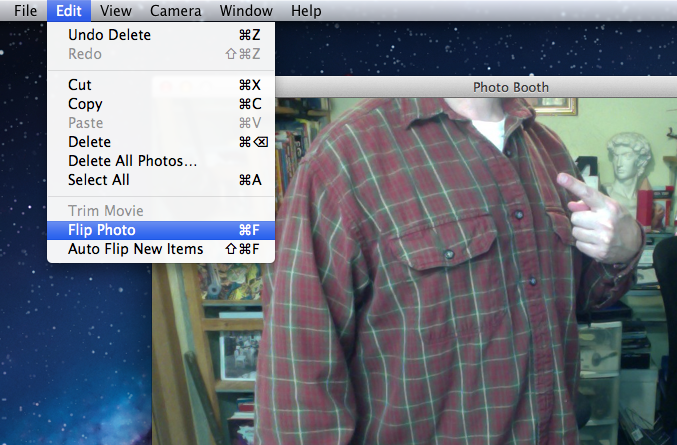 To rectify this, Photo Booth has a pull down menu under Edit where you can flip all the photos selected. Okay – glad I got that out of my system.